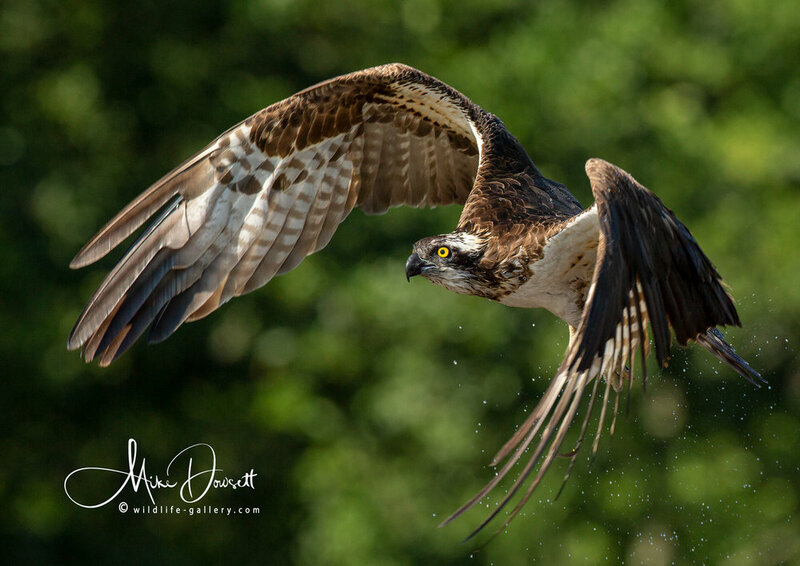 Ospreys (pandion haliaetus) are found widely across most of the world, breeding throughout much of North America, Europe and Asia and Australia. 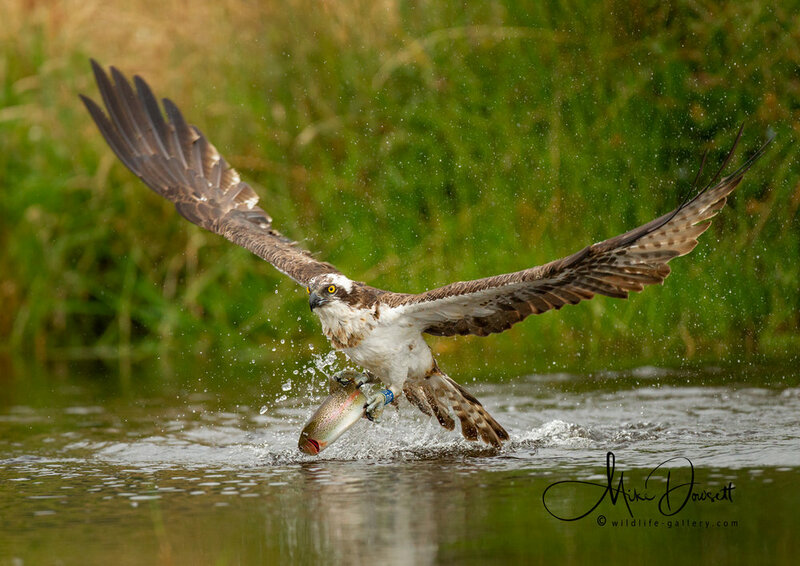 The mature Osprey will weigh between 1.5 to 2.0 kg, with a wingspan of circa 1.6 metres. 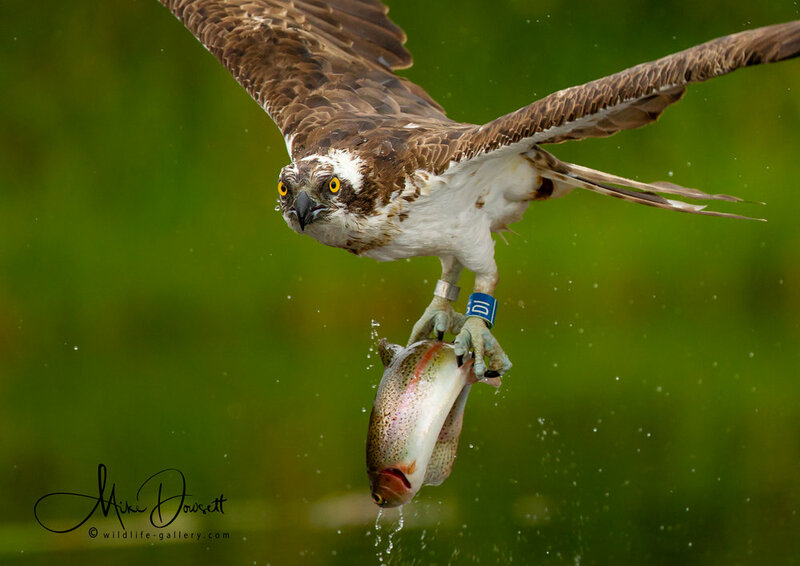 Like other birds of prey the Osprey has powerful sharp talons and a hooked beak for handling their prey. 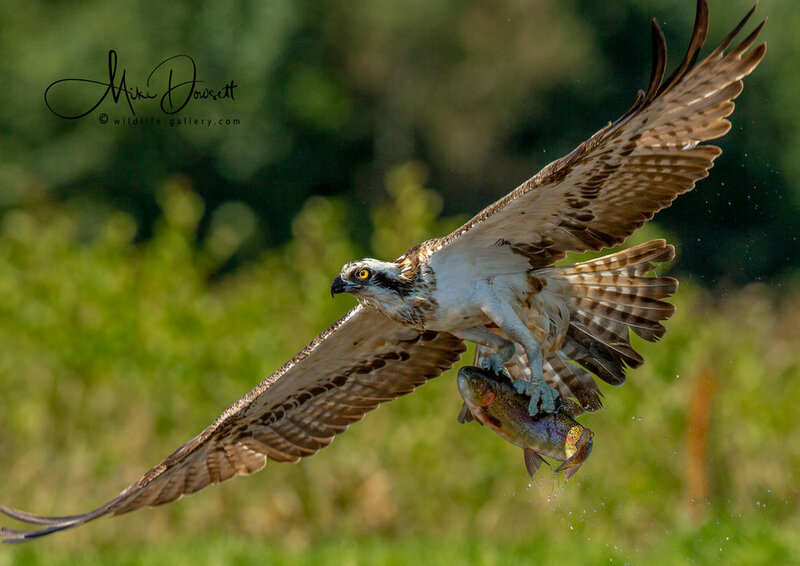 All British-bred Ospreys move south to Africa after their breeding season, with most spending the winter in Gambia or Senegal. 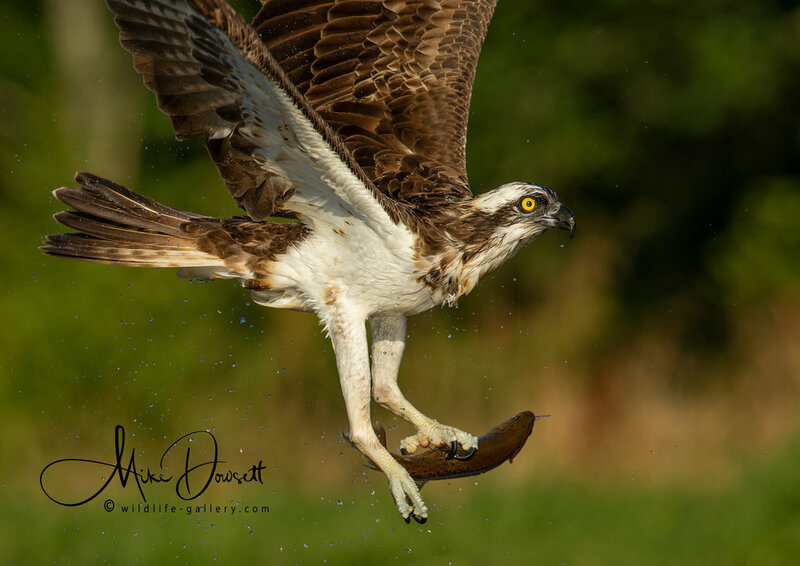 Juvenile Ospreys that fledged in the UK, usually stay in Africa for 2-3 years before making their first return flight North, back to the UK, but may not breed for another 12 months. 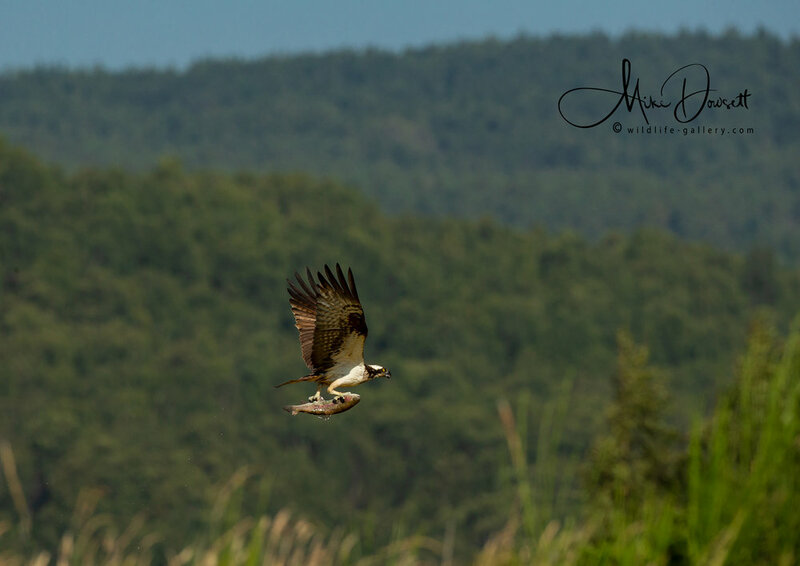 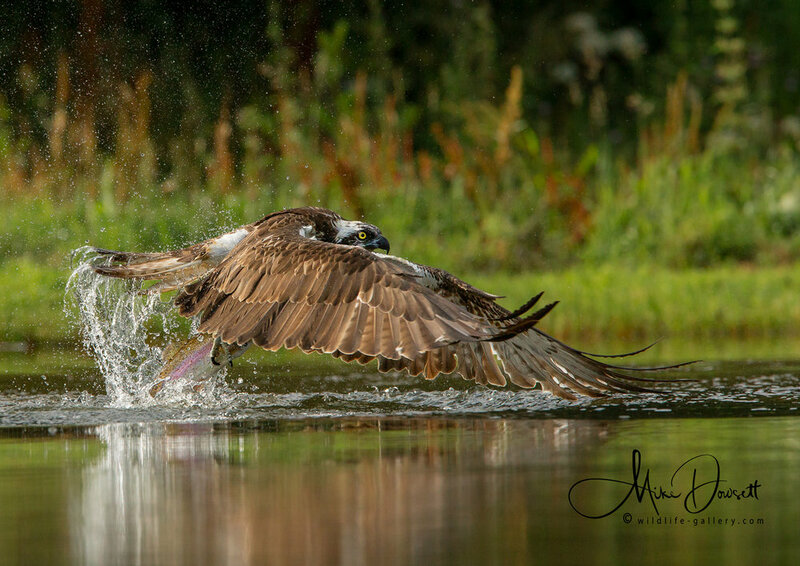 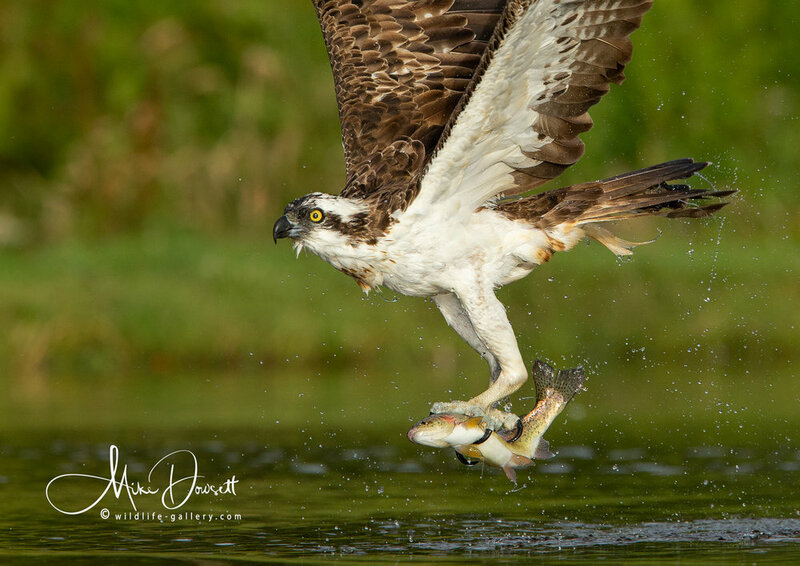 Also known as a Fish Hawk, the Osprey lives primarily on fish that it catches during a spectacular shallow dive and occasionally from the surface of the water. 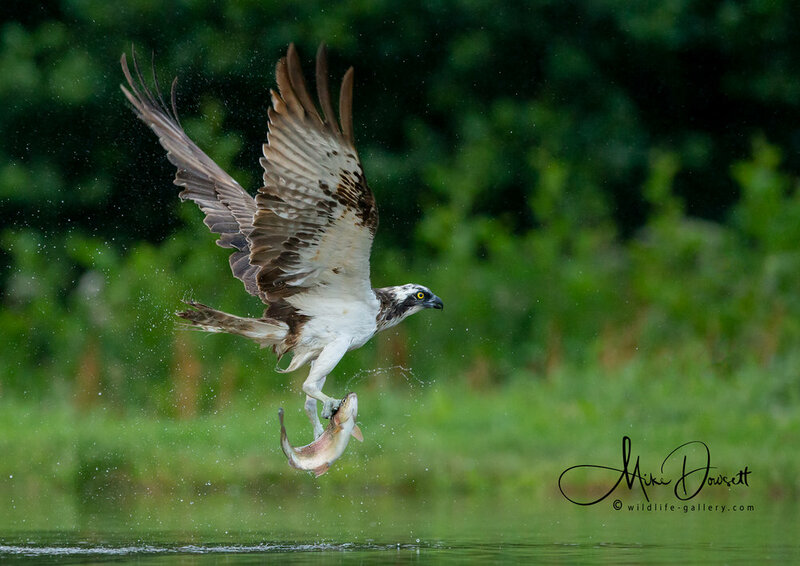 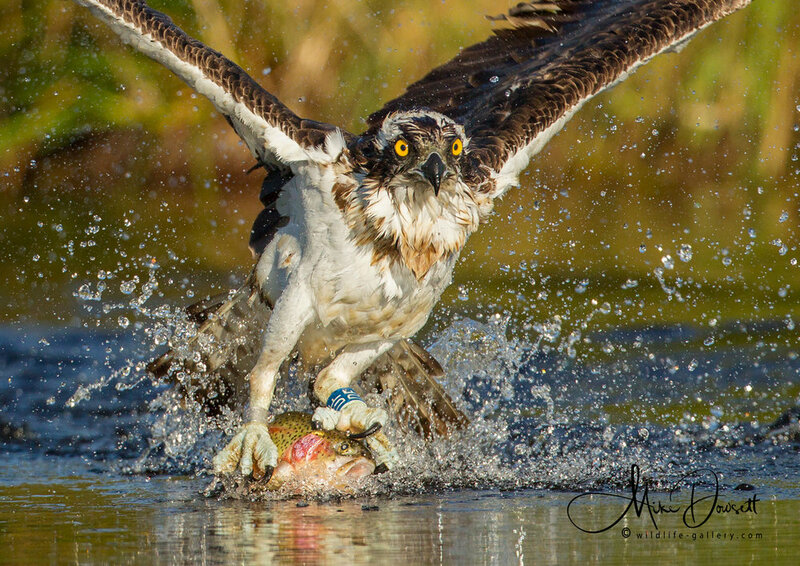 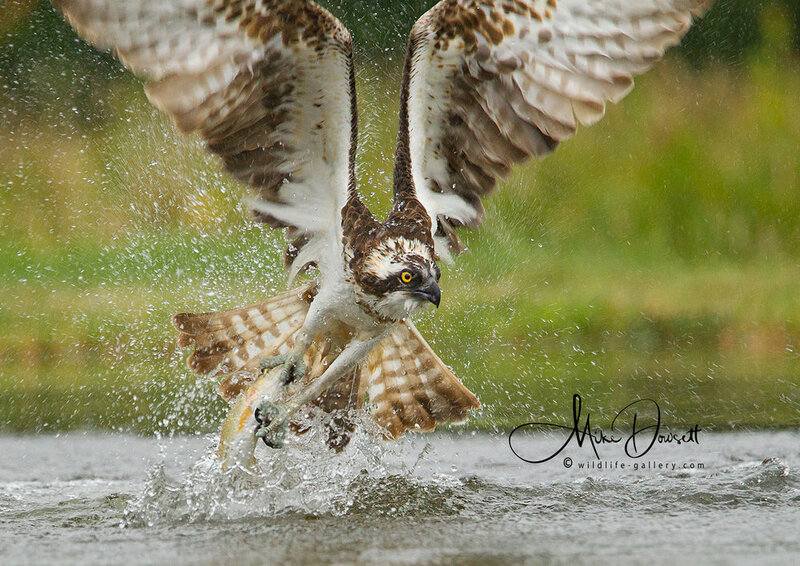 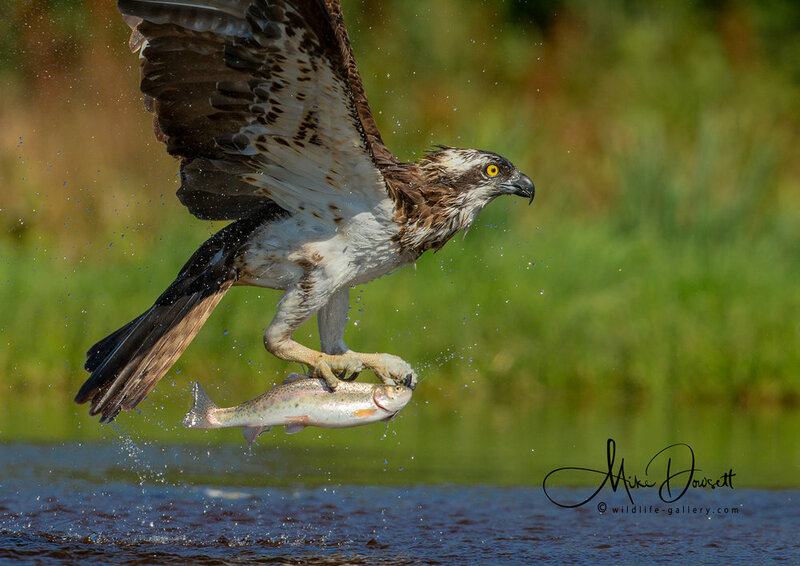 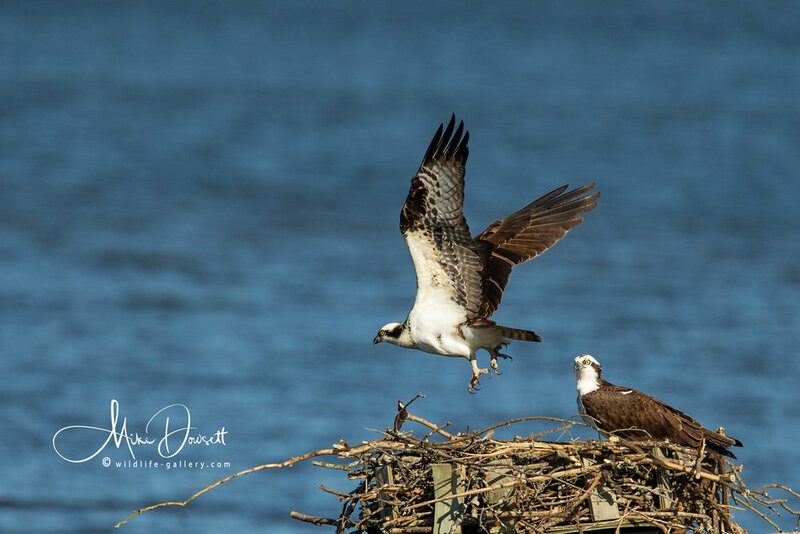 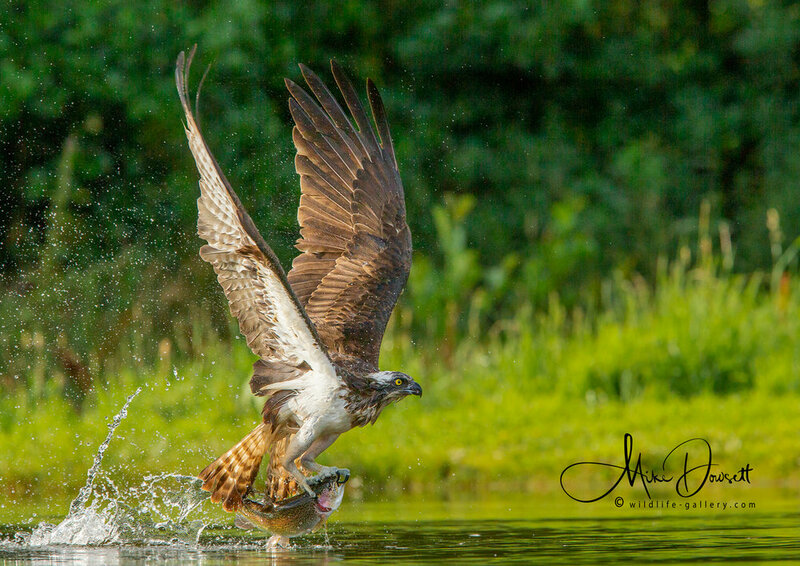 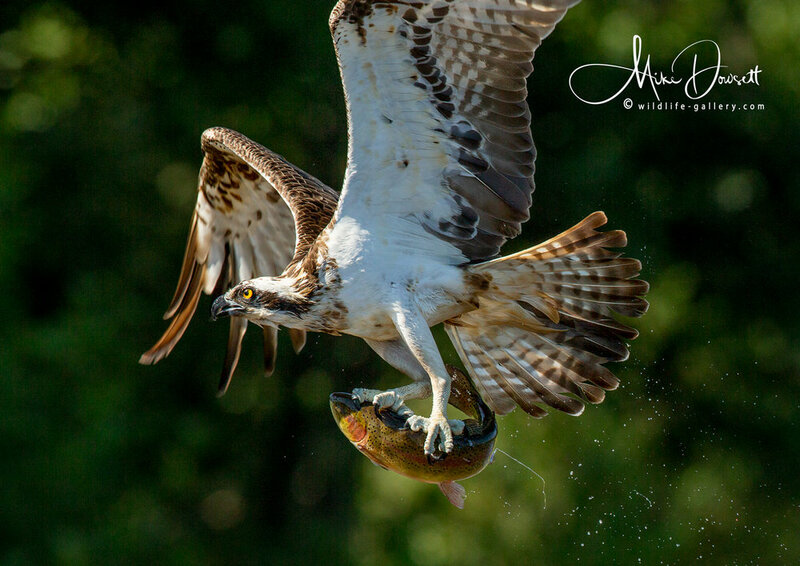 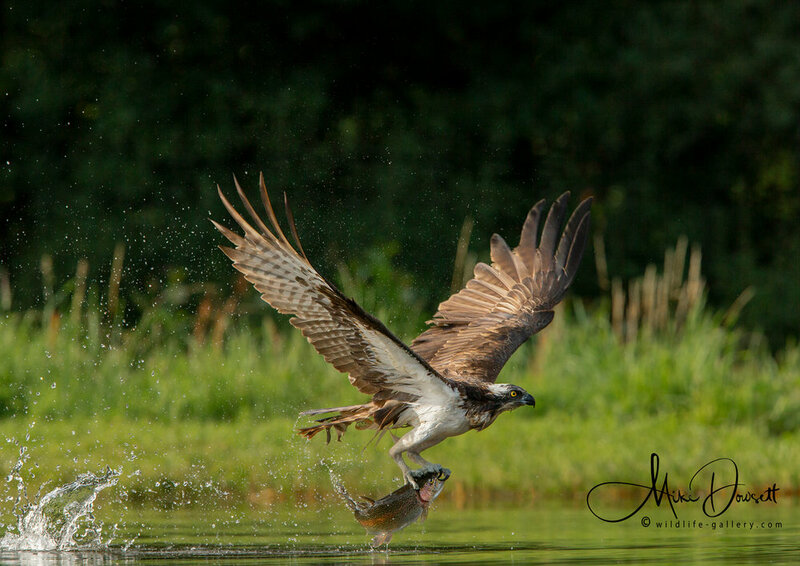 Typically, the Ospreys diet may also consist of a wide variety of other prey, including small birds, reptiles and crustaceans. 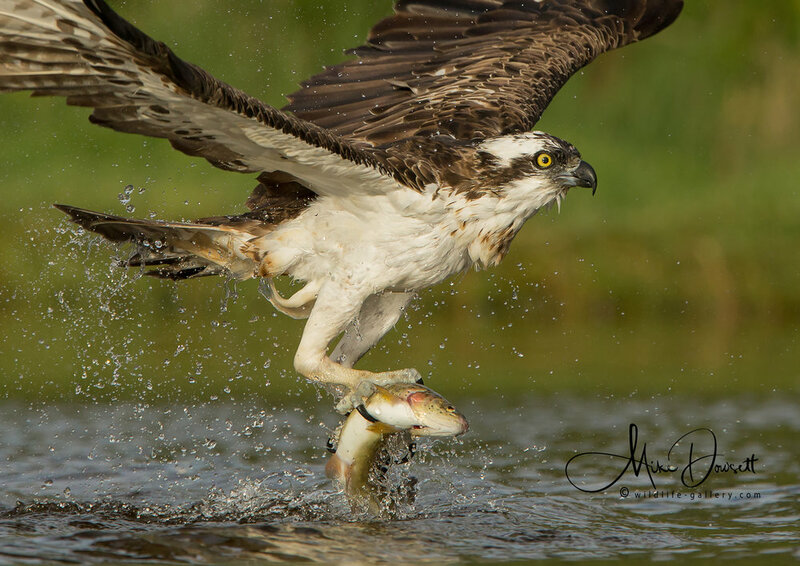 Today there are over 200 breeding pairs of Ospreys in Scotland. 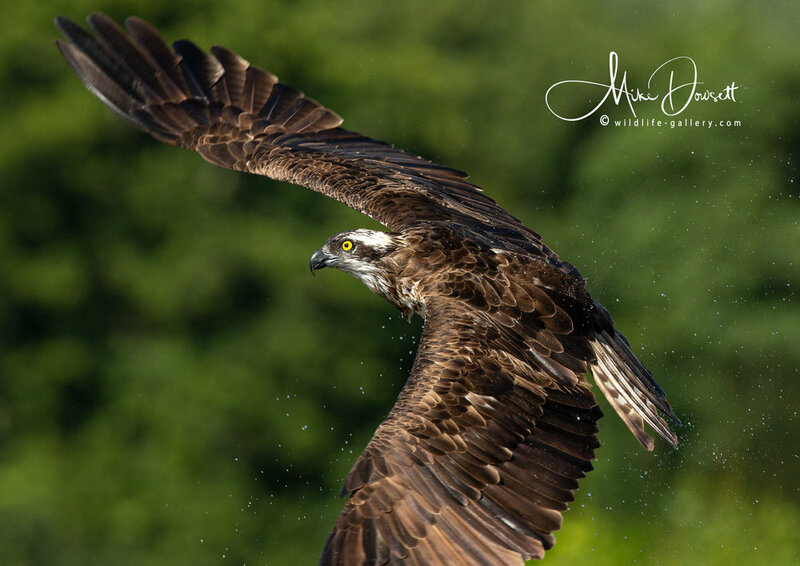 In recent times, breeding first took place in England in the Lake District, in 2001, the first English nest for over 150 years. 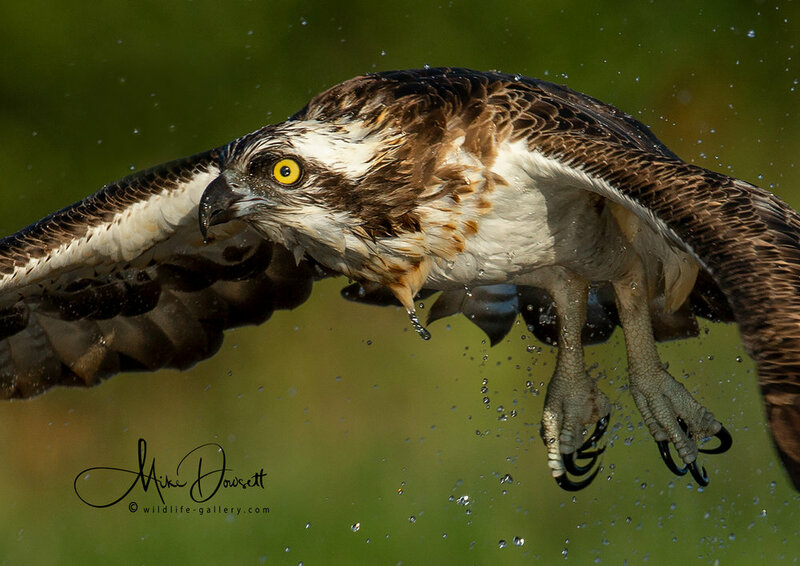 In 2001 Ospreys also bred at Rutland Water after birds were moved from Scottish nests and released at the reservoir. 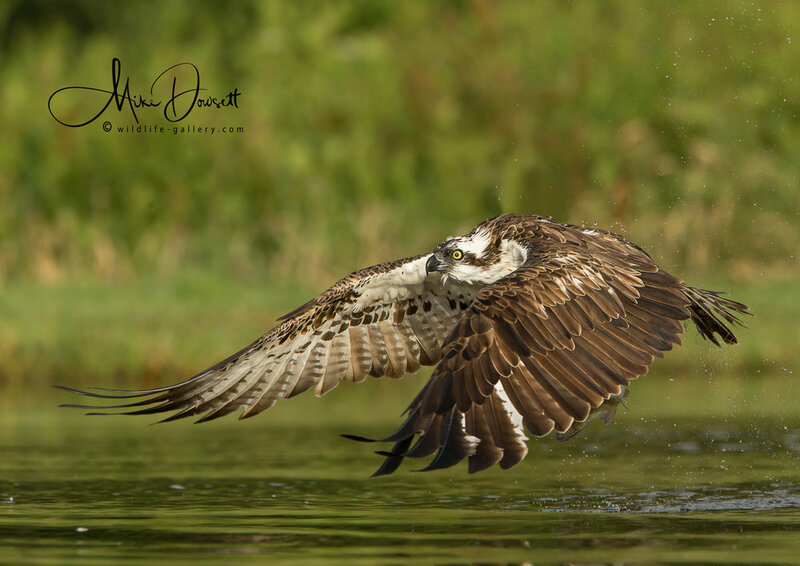 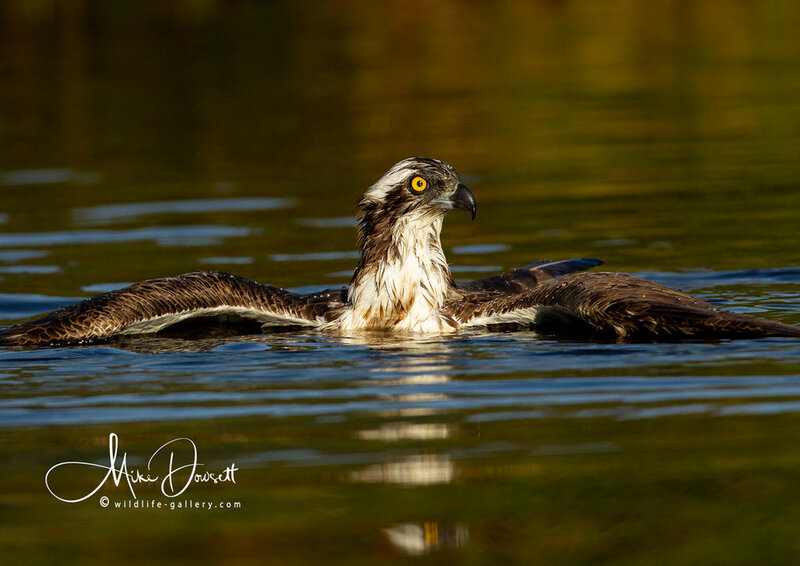 The Osprey migration is early compared to many species and some returning birds are seen in Scotland in March, with the males usually arriving before the females. 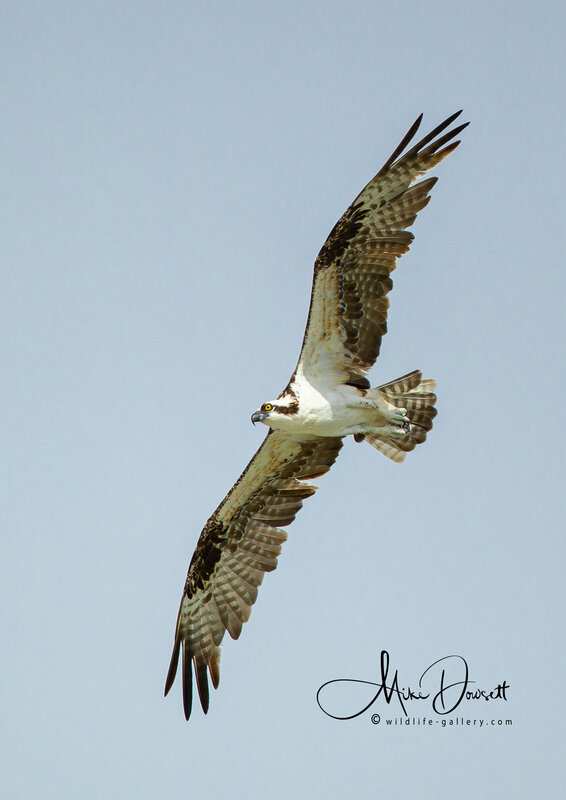 Osprey pairs do not stay together during the migration, but the same pair will often breed together at the same nest in subsequent years. 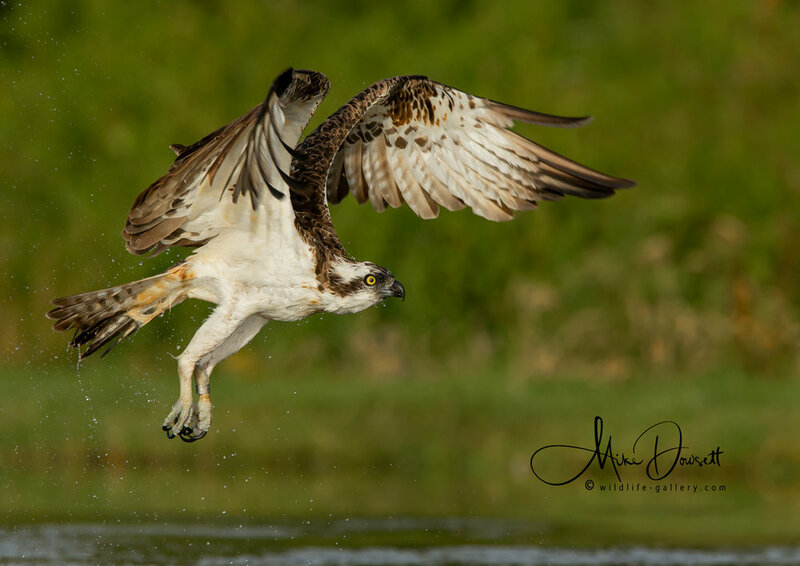 Ospreys can continue breeding until aged 10 or more.